You’ve heard it circulating in the rumor mill for years: a glass of wine every night has significant health benefits. While we may all want to believe that at face value, it’s always worth it to look into any facts or rumors surrounding your health. There have been many studies about the health benefits of wine, but none of the evidence is completely conclusive. However, all studies agree that you can only see these benefits when you are in the proper physical condition to drink alcohol and when you drink in moderation. According to the Mayo Clinic, a moderate amount for women of any age and men over 65 is up to one drink a day and up to two drinks a day for men 65 and younger. With these wine-consumption caveats in mind, let’s take a closer look at the potential health benefits of wine. One thing that is certain about wine is that it contains a large number of antioxidants. These antioxidants work to attack free radicals that can cause serious health problems, such as cancer. But don’t think red wine is the top contender. According to a study from the University of Barcelona, the phenols in white wine had an equal — and at times higher — amount of antioxidants than red wine. Improving the health of your heart has been the most frequently touted benefit of drinking wine, red wine in particular. A study at the Israel Institute of Technology found that after 21 consecutive days of red wine consumption, the subjects experienced enhanced blood vessel cell health. This, in turn, improved their blood flow, increasing their heart health and lowering the risk of cardiovascular disease. Of course, these findings don’t mean that you should forgo any exercise you do to keep your heart healthy. 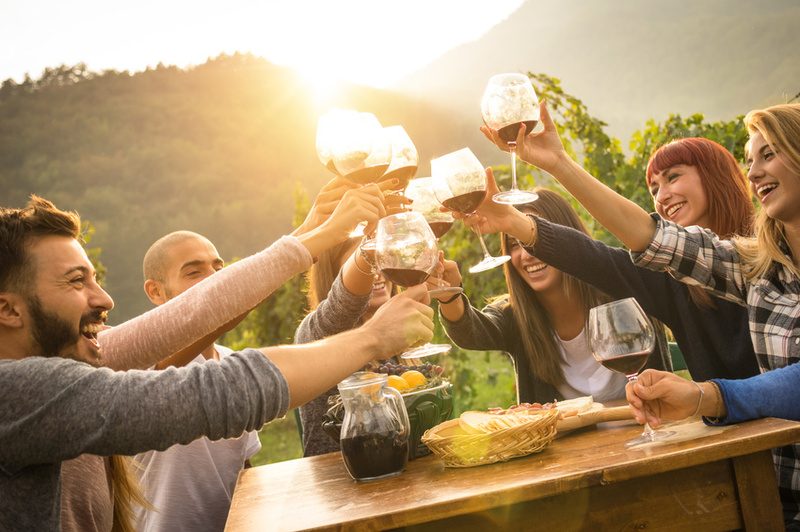 Despite the apparent health benefits of wine, it can’t replace the physical activity you get from running or swimming, the fourth most popular sports activity in the United States. Moderate red wine consumption can also reduce your risk of developing dementia. According to a long-term study of data from 19 nations, regular and moderate red wine drinkers in 14 countries had a statistically significant lower risk of dementia. The secret behind this finding is resveratrol. This polyphenol reduces the stickiness of blood platelets, helping to keep blood vessels open and flexible. Vessels in this condition promote a good supply of blood to the brain, keeping it alert and healthy. Now that you have these facts in hand, you’re ready to explore the 7,7000 wineries across the United States. Wine might not be a magical cure-all for health problems, you can certainly do your heart and brain some good by having a glass every now and then.